You have searched for forklift jobs in your area, after reading the job requirements, you would like to apply, but you do not have any forklift driving experience. If any of this rings true than this article is written for you. 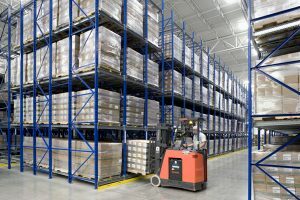 Where can I get trained or certified to operate a forklift? Do I need a forklift license and if so how do I go about getting one? There are a lot of forklift operator jobs posted but they won’t hire me because I don’t have any experience, but how can I get any experience if no one will hire me? Hopefully this article will provide you with the information you are seeking, allowing you follow your dream and land one of the many rewarding forklift jobs with a company of your choosing. The most common calls that First Quality Forklift Training receives are requests for forklift operator training. The second most common calls come from individuals interested in forklift operator training. They want to apply for one or more of the many new forklift jobs added daily. Many of the individuals that contact us have little or no experience. Most are interested in attending one of our forklift operator training classes. First Quality Forklift Training doesn’t offer forklift training for those individuals that are looking for individual forklift operator training. We partner with companies that either own or lease material handling equipment (i.e. forklifts) . Companies hire us to train their forklift operators on the proper and safe use of Powered Industrial Trucks (PIT). The PIT’s might include sit down lift trucks, pallet lifts, and/or narrow aisle lift trucks. IMPORTANT: OSHA does not provide forklift operator training. It is the employer’s responsibility to train the employees. The standard found in OSHA’s CFR 1910.178(l)(2)(ii) states the following: Training shall consist of a combination of formal instruction (e.g., lecture, discussion, interactive computer learning, forklift training video, written material), practical training (demonstrations performed by the trainer and practical exercises performed by the trainee), and evaluation of the operator’s performance in the workplace. There are a number of online companies offering online forklift operator training. Many online businesses advertise that they offer forklift certification accepted by OSHA and companies. They are offering the classroom/exam portion found in a standard forklift training curriculum. Many offer an evaluation form that would need to be completed by the hiring company. Be aware that if you are not currently employed as a forklift operator they cannot provide you with a complete forklift operator certification. The only way to get certified is with both the classroom/exam portion and the approval of the company with whom you are employed. Specifically – only your employer can certify that you have received all necessary training for your position. Furthermore, they are the only ones that can certify you are competent to perform your required tasks safely. The free online forklift certification websites/businesses appear to be primarily focused on those workers looking for forklift jobs but do not have any experience. They do not offer hands-on evaluations (similar to many of the on-line training classes). However, they do provide a vehicle for those new to the industry, an opportunity to learn more about characteristics, fundamentals and the operation of a forklift. Many companies require that their operators carry a wallet card. Many people call it a “forklift license” because it looks like a license, but legally there is no forklift license. However, an employer can ask a potential candidate about a driver’s licence if driving is an essential part of the job. We hope that the information provided has been helpful to you. 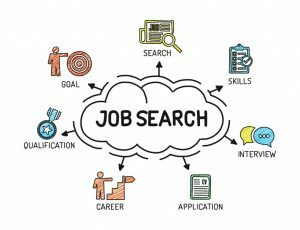 We wish you the best, as you search through the many advertised forklift jobs, eventually leading to a rewarding position as a professional material handler. If you have forklift training or aerial lift training questions, are interested in learning more about the services/products offered at First Quality Forklift Training LLC, or would like a free training quote, please call us at (800) 647-FQFT (3738) or email us at [email protected] . We look forward to hearing from you. Training & Educational Background: Bachelor of Science Occupational Safety, Power Industrial Truck Instructor - National Safety Council, Powered Industrial Truck Instructor - Toyota Material Handling, U.S.A., Inc., Aerial Lift & Telehandler Instructor - JLG Industries, Inc., an Oshkosh Corporation company.